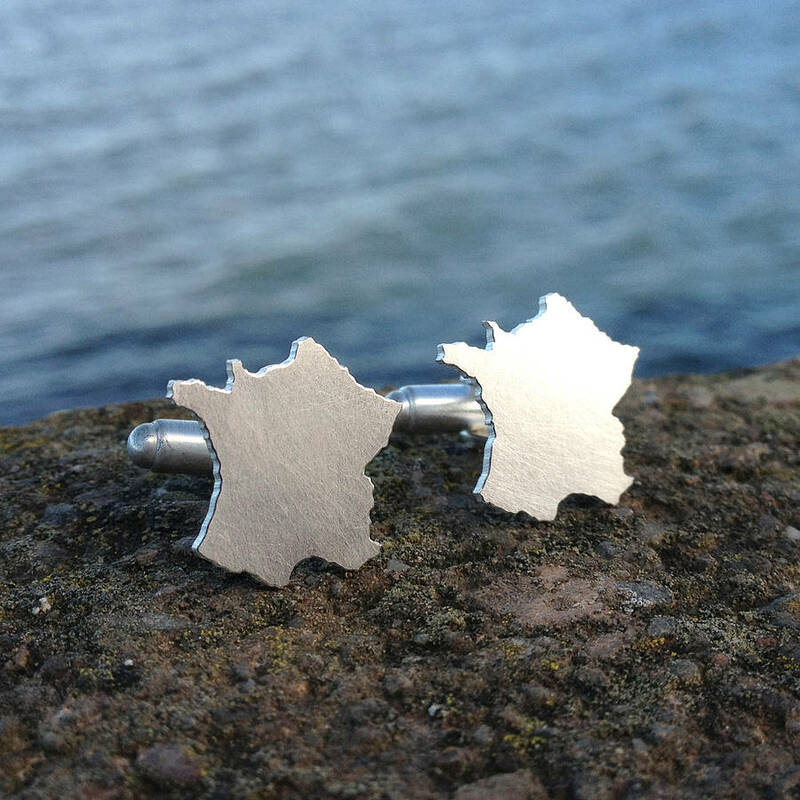 Gorgeous hand-pierced silver cufflinks designed and crafted by Hannah Louise Lamb, personalised with the outline of your chosen country or continent. 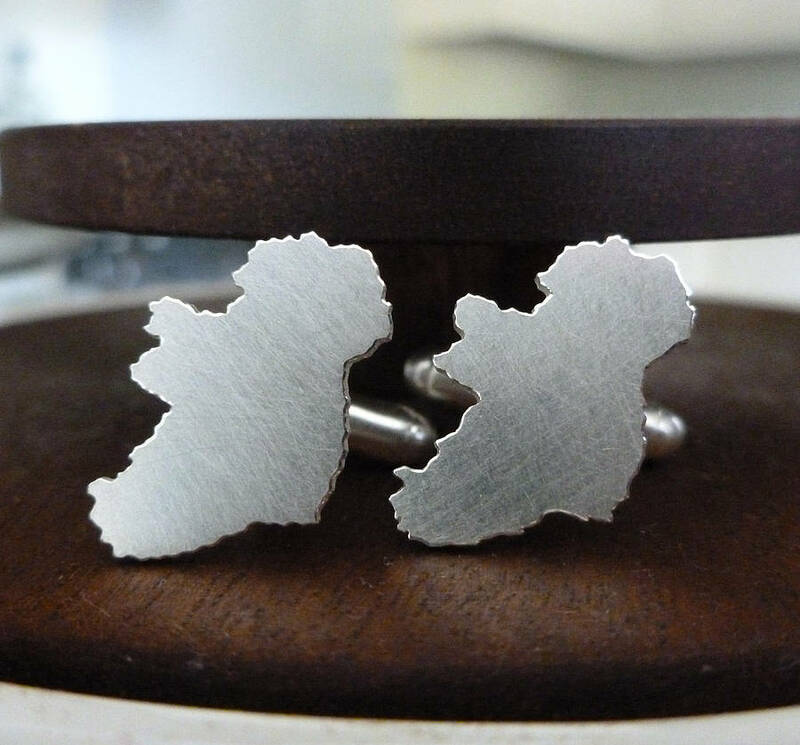 The striking outline of your country handmade in silver. 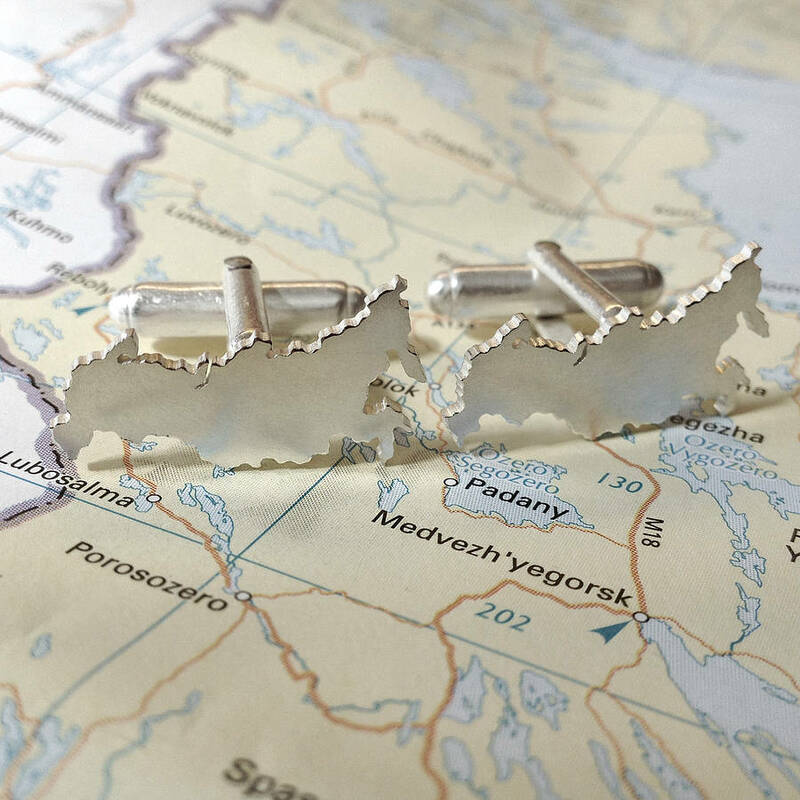 You can choose anywhere in the world; a birthplace, a favourite holiday destination, or somewhere sentimental. 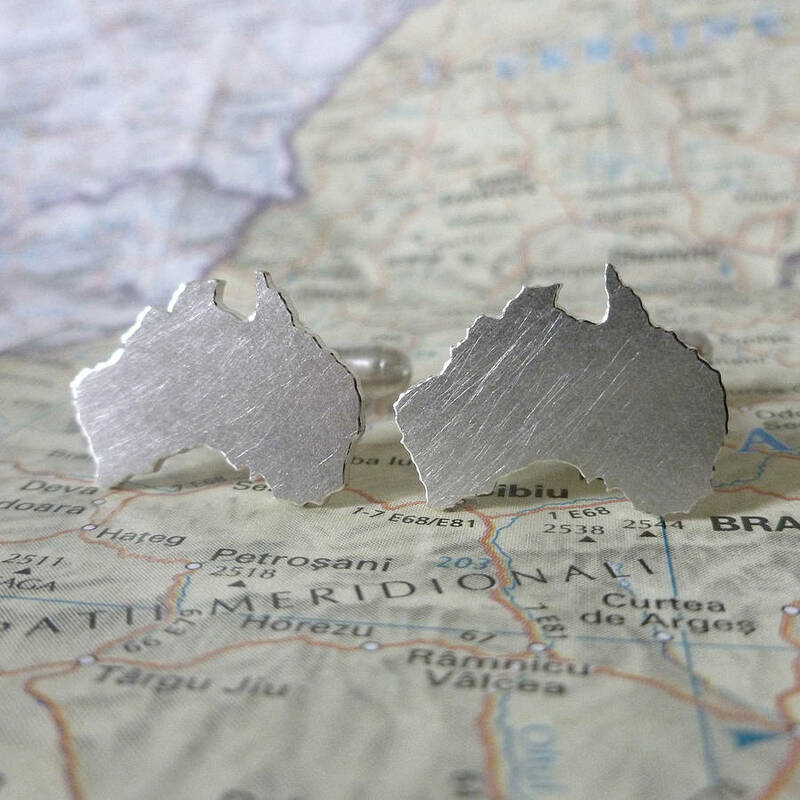 Please specify a country or continent name in the box provided. 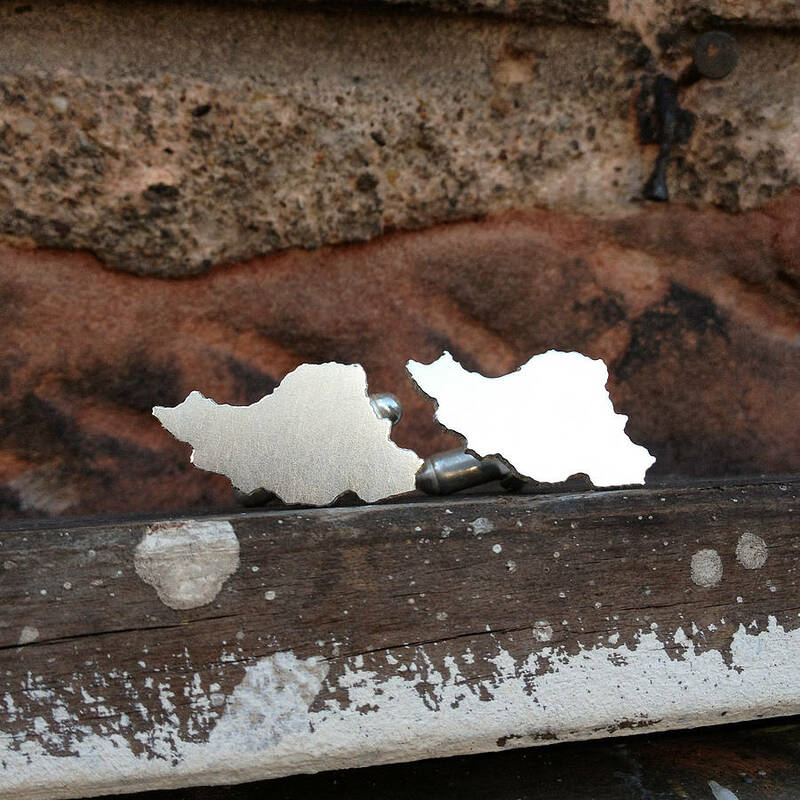 Hand-pierced by Hannah, from chunky 1mm thick sheet silver, with a matt finish and burnished edges to give a bit of sparkle. 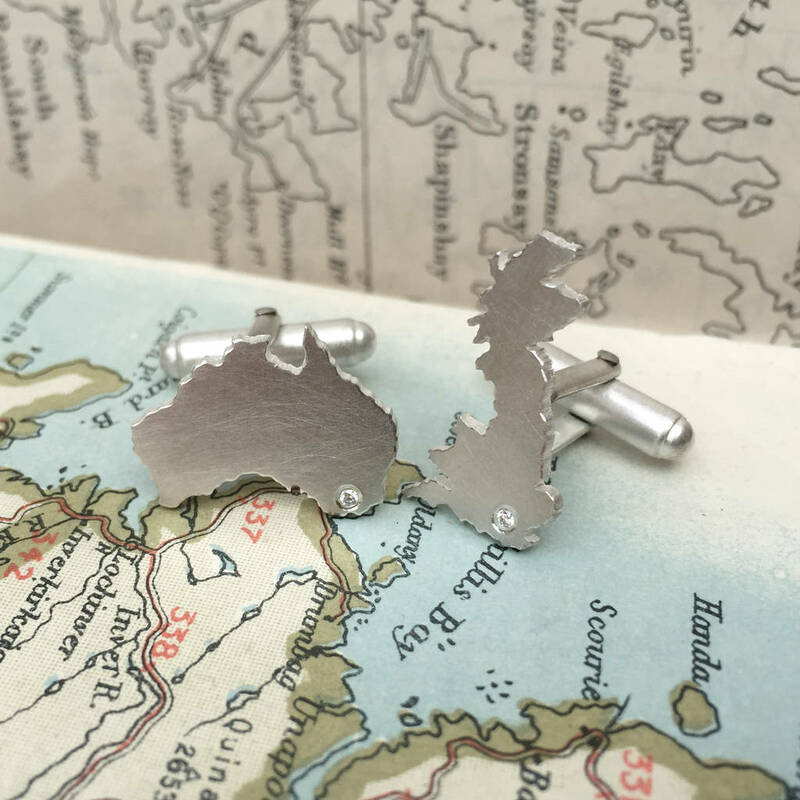 If you are unsure how your chosen country or continent might look or whether it will work well for cufflinks please use the 'ask the seller a question' button and Hannah can work up a silhouette before you place the order. 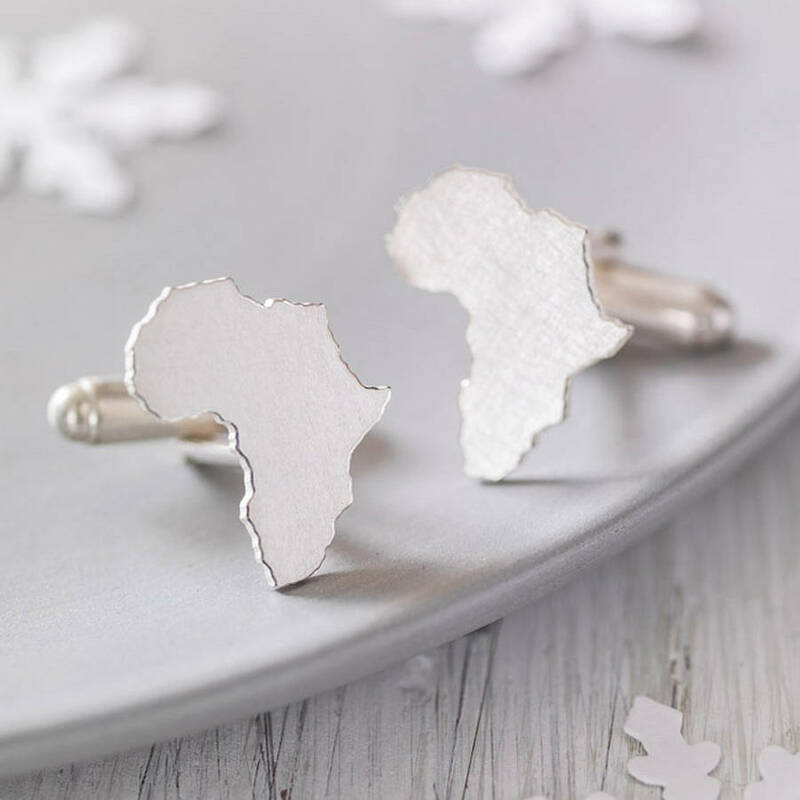 Packaged beautifully and ready to give as a gift in a matt black jewellery box tied with ribbon. 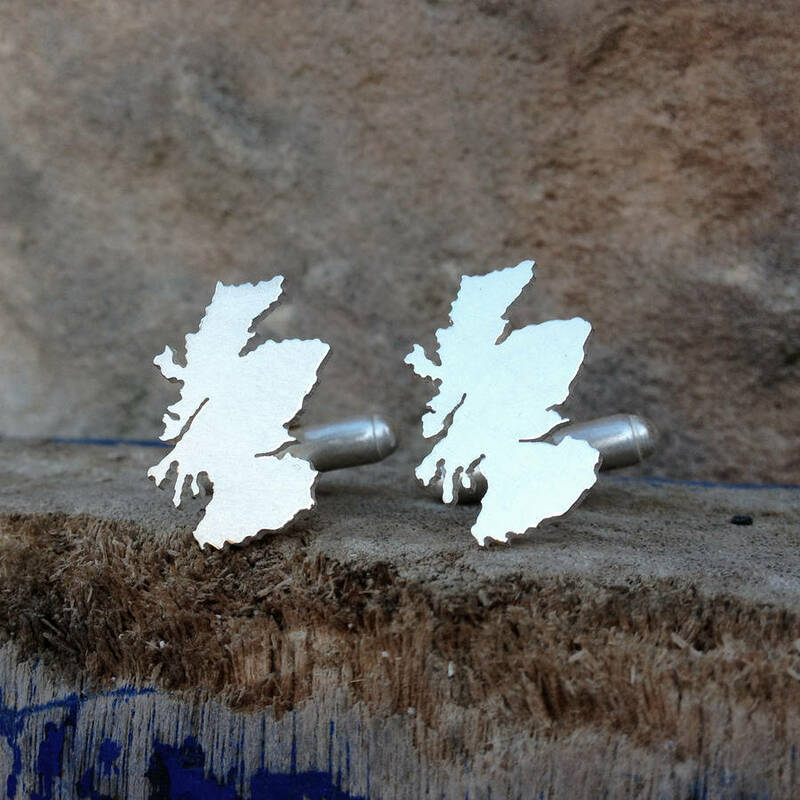 Each pair of cufflinks is handmade to order so please allow up to two weeks for delivery (longer for gold). If you have a tighter deadline please ask as I may be able to accommodate it. 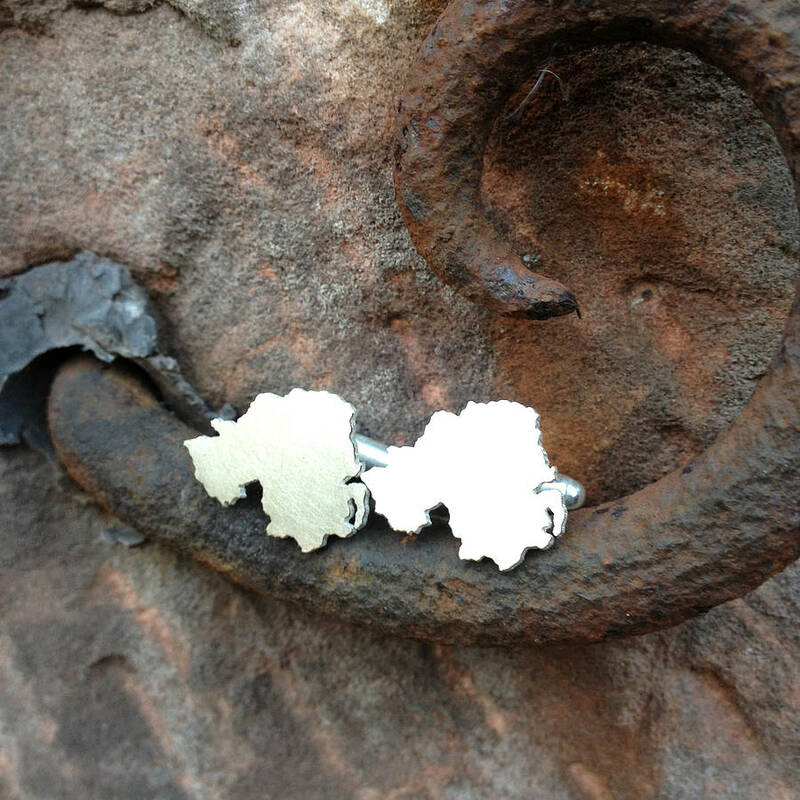 Available in silver, 9ct gold and 18ct gold. 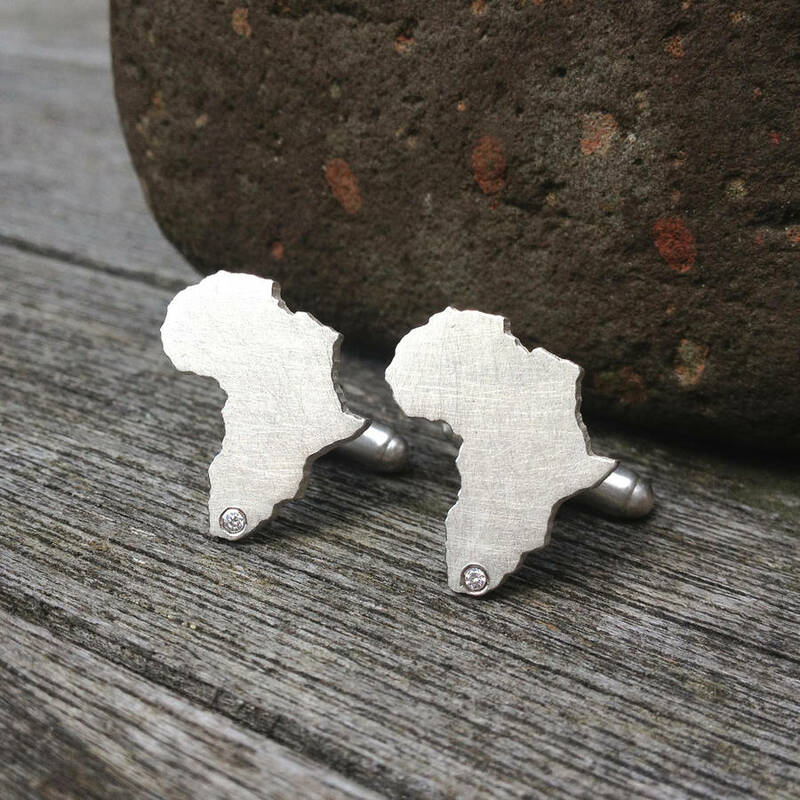 Approx L2cm depending on your country or continent. 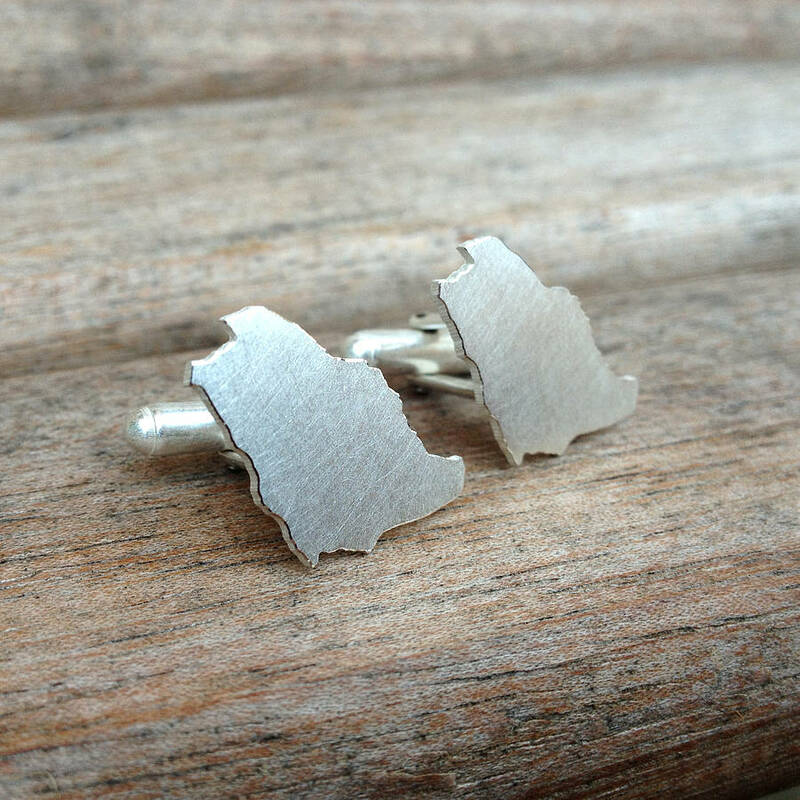 The cufflink mechanism is a classic hinged bar fixing, suitable for most shirts. 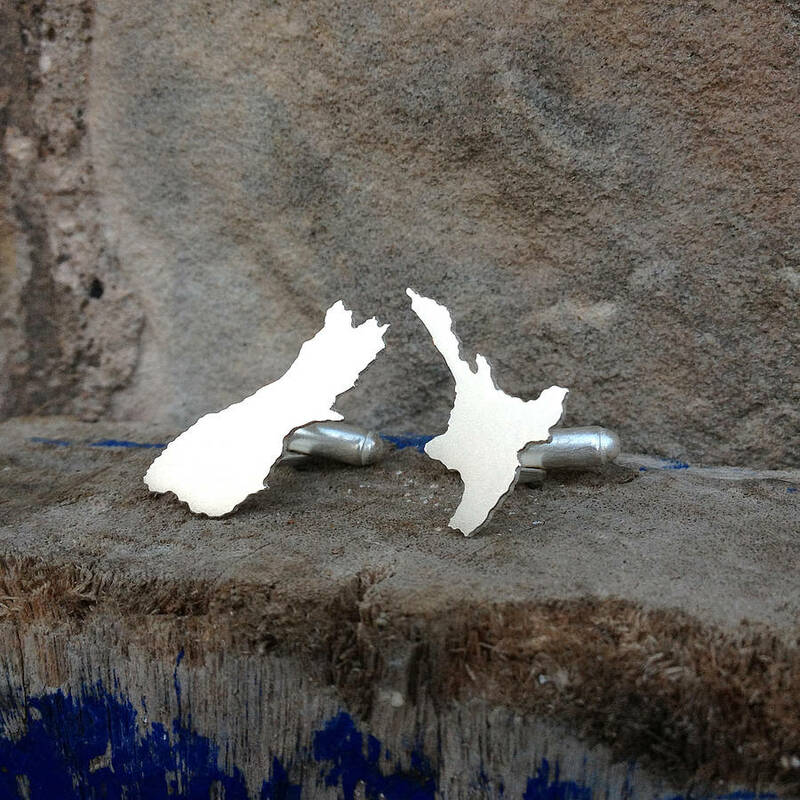 This product is dispatched to you by Hannah Louise Lamb.